East Atlanta has become one of the hottest Intown Atlanta neighborhoods in the past several years. 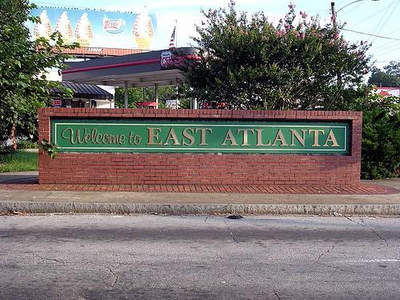 Local residents have revitalized this residential area, which also boasts a diverse selection of eclectic businesses, pubs, and restaurants along Flat Shoals Avenue, known as East Atlanta Village. The Fannie Mae Foundation recently named it one of the top 10 emerging big city neighborhoods in the country. East Atlanta is east of Ormewood Park and south of Edgewood, bounded by I-20 on the north and east, Custer and Eastland on the south, and Moreland Avenue on the west.